This article is mainly targeted to the SharePoint Online environment, but is valid for most of the OnPremise versions of SharePoint (2013, 2016) too. This article is mainly targeted to the SharePoint Online environment but is valid for most of the OnPremise versions of SharePoint (2013, 2016) as well. SharePoint is famous for its intranet capability. Many organizations are using SharePoint effectively to build their intranets using SharePoint. As SharePoint is part of Office 365 (i.e. SharePoint Online) the boundaries between the intranet and the extranet are fading away. 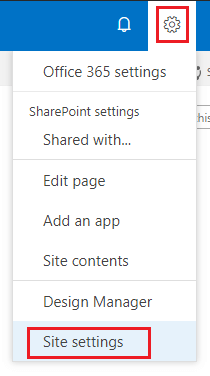 The SharePoint online site can be shared with the external users (e.g. Customers, Vendors) for greater collaboration. SharePoint sites are developed as user-centric sites; that means the landing page of SharePoint should show the major areas users are interested in. Typically it includes news, articles, announcements, tasks etc. 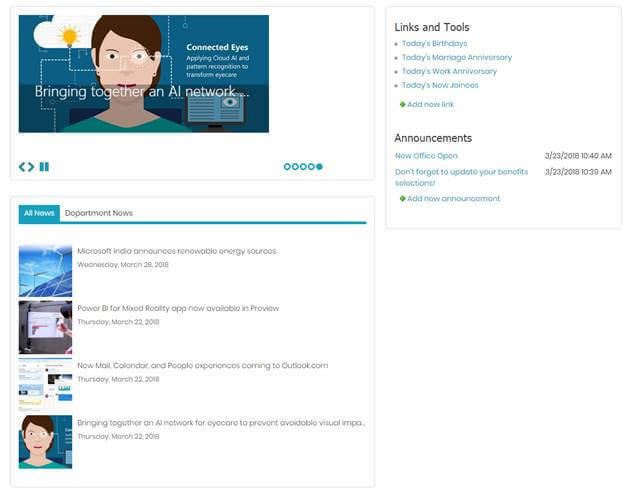 Below is an example of how a typical SharePoint intranet home page looks. Are we imposing this typical layout on our users? Are users really interested to see this? Is there anything else that users are interested to see? How can this design be evolved over time? To get answers to the above questions, we need to find out the user activities on our SharePoint site. How are users using the SharePoint site? Which content would users like to see? What type of content attracts users? 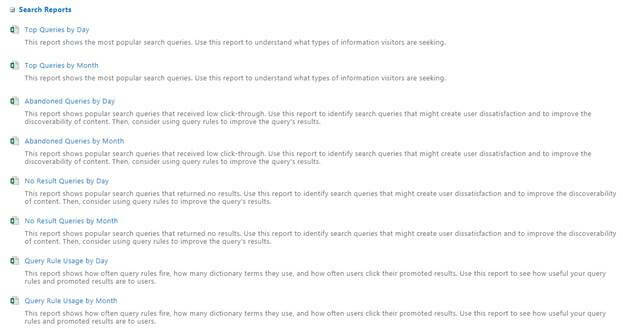 What terms do users typically search for in SharePoint site? SharePoint site collection administrator can play a vital role in finding out this information using an out of the box feature of SharePoint – Search Reports. 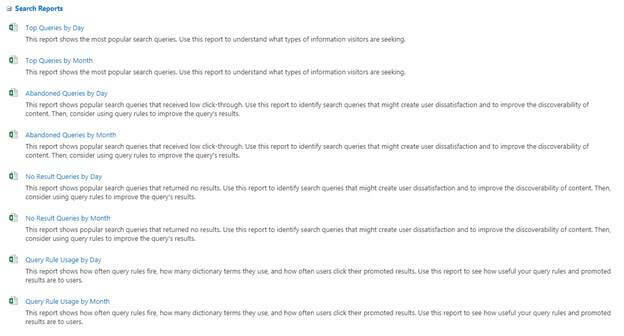 The more useful reports to see the users interaction with SharePoint site are Top Queries; i.e., Top Queries by Day and Top Queries by Month. Under Search Reports, click the link to view the reports in detail. Also, the Usage Reports will show how frequently your SharePoint site is being used. 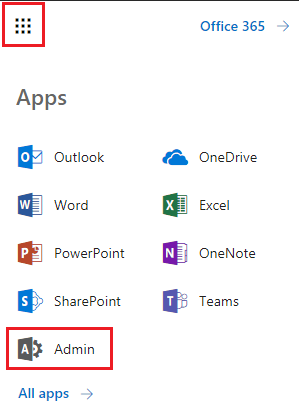 Click Office 365 App Launcher > Admin. This will open up SharePoint Admin Center page. These reports are same as we saw for the site collection but will give the details for the entire tenant (including all site collections under the tenant). 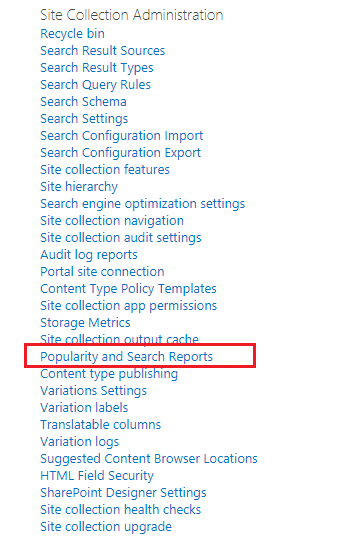 By analyzing the Usage Reports and Search Reports, we can see how the users are using the SharePoint sites, what their content interests are, and what kind of information is being searched frequently. 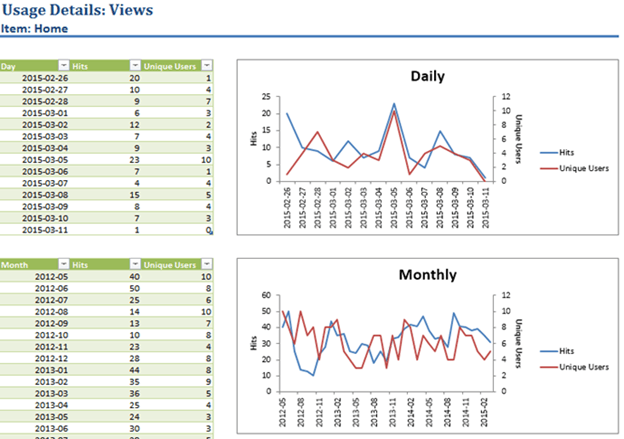 Based on these data points, the home page can be redesigned to include the content which users are more interested in. This will help make the SharePoint site more user-centric and interactive. Reports capture data for a year only (last 12 months). The Usage and Search Reports captures data from classic search queries only. 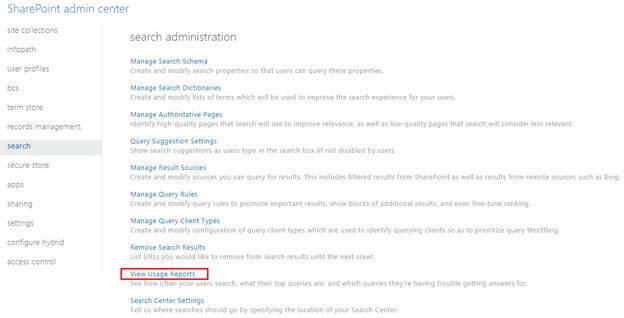 It does not include any search queries from Modern search (applies only to SharePoint online).